When I was little I wanted to go live with my father. I would ride by the housing area on the bus where I thought he lived and look at each of the houses trying to figure out which one might be his. I checked every mailbox for the last name "Potter". I looked and looked for my name, but I was never able to find it. When I was nine or ten a new toy was released that I wanted so desperately. The commercial was amazing. These little kids were sitting at a table making pots! I found this similar commercial online. I wanted to be a potter... HEY wait a minute, I was a POTTER! I decided that very day I wanted to work with clay. I ended up getting my potter's wheel for Christmas and much like the other "as seen on TV" gifts it was crap. I failed miserably and it ended up in the trash. 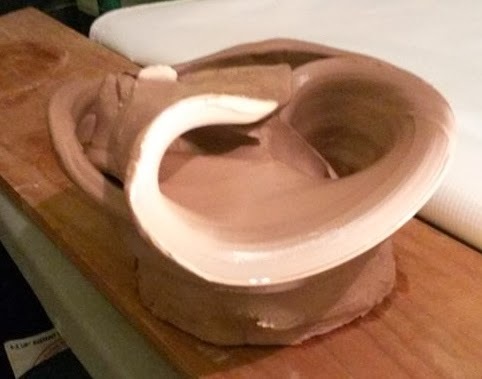 The years rolled by and I often watched TV shows about making things with clay but never really thought about doing it again. After all I had failed at age ten. About 2 years ago I started doing some hand building with clay. I worked up to making statues and masks. 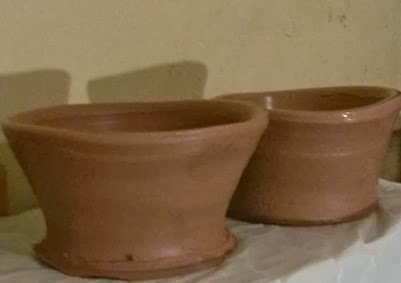 One day, I was chatting with hubby and said, I wish I could use a pottery wheel. I told him my story of the motorized wheel I got for Christmas. He reminded me how I didn't have any happy childhood stories. We laughed and he said, so get one. I thought for a second and then was like ... well I suppose I could. 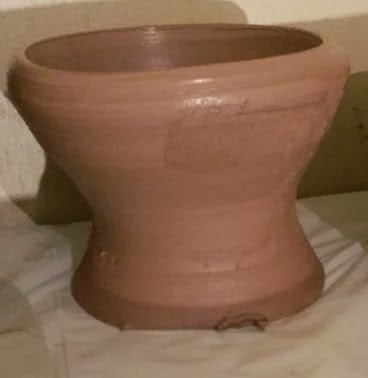 Last month we picked up two kilns for a steal and this month we purchased my ClayBoss Potter's Wheel. Today I went outside for my fourth attempt at working on the wheel. My arms are a little sore as I'm getting used to centering and pulling the clay. My back is sore as I'm using different muscles than I'm used to, hunching over to mold it. I have to say, I love it. I've not made anything to keep for firing yet. In fact, I'm not entirely sure I'll be at a point to fire anything until next year. But I am loving it. A lot has changed since I was riding that bus, searching for a mail box with "Potter" on it. I'm no longer searching for a place where I will be accepted and loved. I'm no longer trying to make and mold something out of nothing. 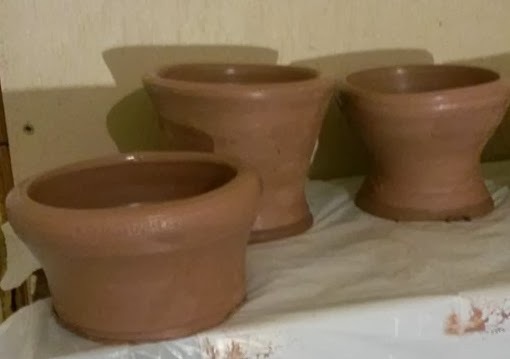 I now have the strength within myself to mold and shape the world into a place where I want to be and with that in my tool kit, I can claim the title of Potter. Looking forward to what new things I can make. Sosanna's Closet Yule Giveaway Winners Announced! Coupon Code for Cyber Monday!